← Our tours are running every day! 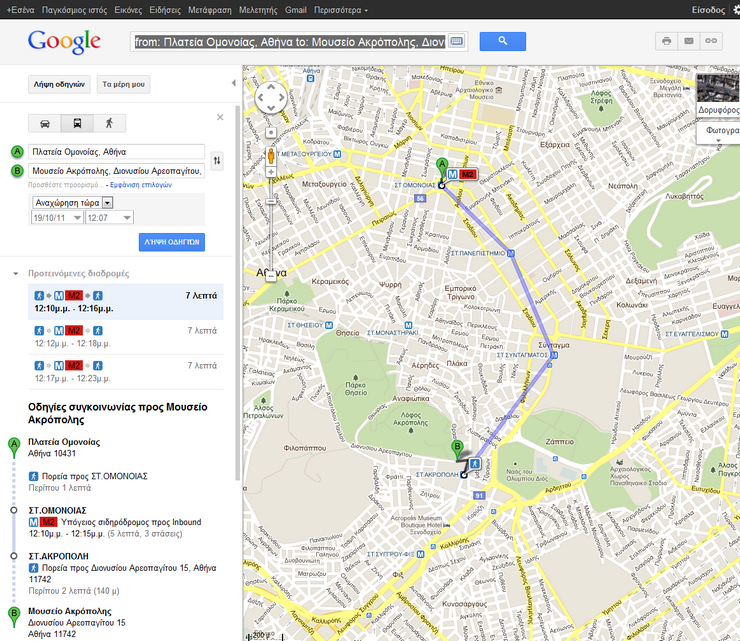 With Google Transit, visitors of Athens seeking guidance for their transportation can now plan their journeys easy and precise! This entry was posted in Athens News, Modern Athens, Shore Excursions, Transportation, Usefull Tips and tagged Athens maps, public transportation, Transportaion. Bookmark the permalink. Congratulations to the Athens Urban Transport Organization about this initiative. I will not only increase its revenue but will have a positive impact in Greek tourism as well. This excellent collaboration with Google is food for thought for other organizations as well, in other words how they can add more value to their services.